Princess Alice was the third child and second daughter of Queen Victoria and Prince Albert. 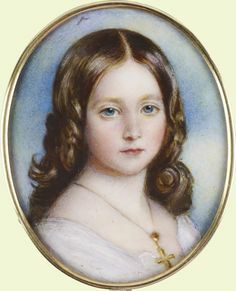 She was the first of Queen Victoria’s nine children to die. As a young woman, she gave her mother immense support sharing official royal duties, especially after the death of her father. She is one of the most overlooked members of her family when it comes to celebration. She was, however, a unique individual of her own kind. 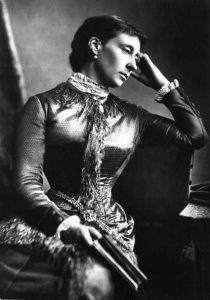 Where was Princess Alice Buried? 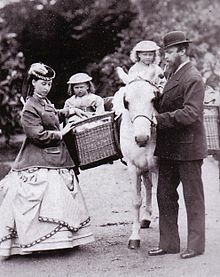 Alice was born on 25th April 1843 at Buckingham Palace with a mixed feeling among people in London. Alice’s education was planned and formulated by her father along with Baron Stockmar, his close friend. 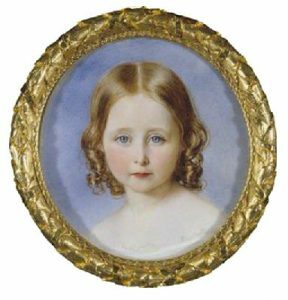 Princess Alice was born during the early hours of 25 April 1843 at Buckingham Palace in London. She was christened on 2 June 1843 as Alice Maud Mary. Being the second daughter of the queen, her birth was greeted with mixed feelings in public. 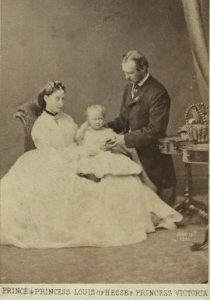 During her childhood, Princess Alice was close to her older sister Victoria and older brother, Bertie. She traveled through British royal residences with family. Alice, along with her siblings was taught practical skills like housekeeping, gardening, cooking, and carpentry. Daily lessons in English, French and German were also provided to the children. 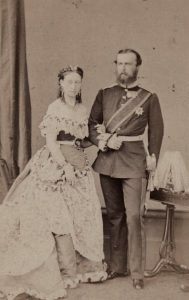 As the princess was kind and caring, she took care of her ailing grandmother in 1861 and later in that year, she also took care of her father who died of typhoid fever eventually. After Alice’s birth, Queen Victoria and Prince Albert started feeling the need for a bigger home and they purchased Osborn House on the Isle of Wight in 1844 as a family holiday home. 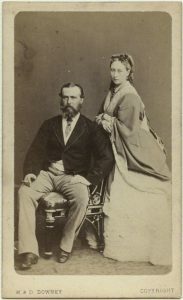 Alice received her education from her father and his close friend, Baron Stockmar. At Osborn House, Alice along with her siblings was taught real-world skills like cooking, housekeeping, gardening, and carpentry as well as they received lessons in English, French, and German. As Queen Victoria and Prince Albert were interested in building monarchy based on family values, their children wore middle-class clothing on daily basis and their bedrooms were sparsely furnished with little heating. Princess Alice was deeply fascinated with the world that was outside the Royal Household. She visited the tenants working in the estate to understand them better. During the Crimean war in 1854, Alice was just 11 years old and she toured London hospitals with her mother and eldest sister for wounded soldiers. She was the most emotionally sensitive child of Queen and very sympathetic with other people’s problems. She is said to have a sharp tongue and easily triggered temper. 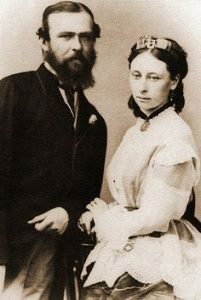 Since Victoria and Albert favored monarchy based on family values, Alice and her siblings wore middle-class clothing on regular basis and slept in lightly furnished bedrooms. Alice found the world outside the royal household more interesting and visited her tenants, who were living and working in the estate. During the Crimean War, Alice was eleven-year-old, but she toured London hospital for wounded soldiers along with her mother and elder sister. She was emotionally sensitive and highly sympathetic to other people’s problems. Alice grew into a sympathetic adult with an interest in medicine and caring for others especially the patients. When her father fell ill in 1861 with typhoid fever, she proved to be a great comfort for her father. She looked after him and was continuously near his bedside till his death which was on 14 December the same year. 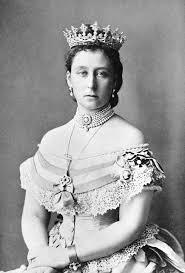 However, when after her father’s death Queen went into an intense period of mourning, she looked after the Queen’s correspondence and daily paperwork, unofficially. This was a very difficult period for Alice because along with coping with her father’s death alone, she had to deal with the growing demands of her distressed mother. Before her father’s death, Princes Alice took care of her maternal grandmother Victoria, Duchess of Kent. She spent a good deal of time nursing her grandmother through her final illness and she used to play piano often for her. She died on 16 March 1861. 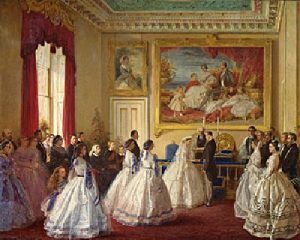 When Alice turned 17, Queen Victoria and Prince Albert decided to get her married. She personally chose Prince Ludwig and Hesse and her marriage was fixed within six months of arranging the and Prince Ludwig turned out to be Grand Duke Louis XIV. The only sad thing was that her marriage took place in the shadow of her father’s death because he died shortly after the arrangement was settled. Though the marriage was carried out in the period of grief, it was a private celebration carried out in the dining room of Osborn House, which was converted into a temporary chapel. 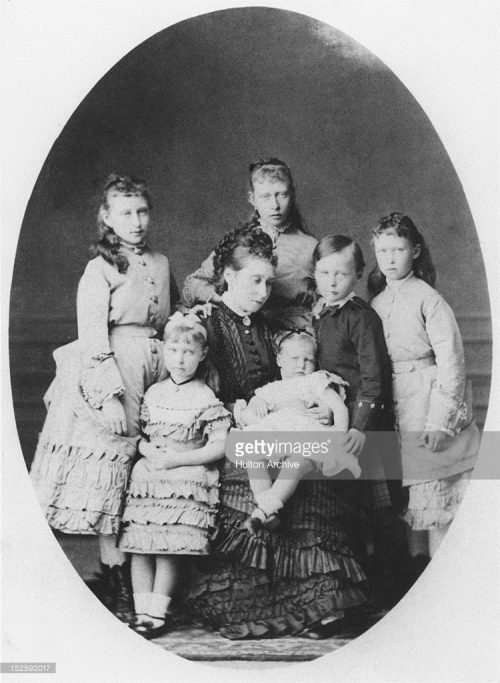 She had seven children – Victoria, Elizabeth, Ernest-Ludwig, Irene, Friedrich Wilheim (Frittie), Alix and Mary. The princes shocked her mother by taking the decision of breastfeeding her children. Frittie met an accidental death while he was just a toddler. Alice saw her toddler running towards the window, which was not locked, but it was too late to stop him. The toddler fell and landed on his head. He died within a few hours because of internal bleeding. This took Alice to deep depression and she mourned this loss until her own death. Alice’s interest in nursing and women’s health had a negative impact on her relationship with her own mother. Even if she was heavily pregnant, she devoted a lot of time managing field hospitals. The grand duchess of Hesse had a special interest in nursing and was very fond of Florence Nightingale, an English reformer and founder of modern nursing techniques. She played a major role in the Bismarck’s war in 1866. In the Astro-Prussian war she was heavily pregnant but even then, she devoted all her time to the management of field hospitals. 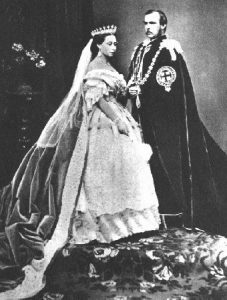 When Grand Duke Louis III of Hesse died on 13 June 1877, and Louis and Alice became the Grand Duke and Duchess of Hesse. However, she could never gain popularity in Darmstadt. 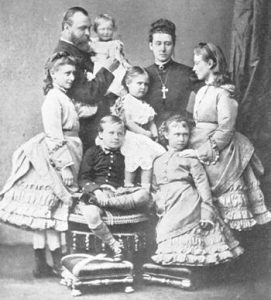 Princess’s life in Darmstadt was not happy because of the impoverishment, family tragedies as well as deterioration of her relationship with her husband and mother. In 1878 diphtheria infected the entire family except one of their daughters, who was sent to live with her paternal grandmother to be safer. Alice nursed her family for over a month but caught the infection due to which she died on 14th December 1878. Alice’s descendants played major roles in the world history. In the Austro-Prussian war of 1866, Hesse Darmstadt was with the sides of Austrians. While her husband was taking part in the battle, Alice was actively taking care of the sick and wounded. 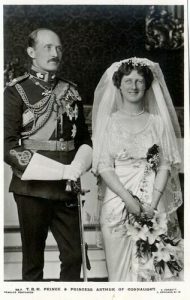 She was heavily pregnant with her third child at that time and gave birth to Princess Irene on 11 July. She nursed everyone suffering from diphtheria and could not save her daughter Marie. She died on 15th November. Alice fell ill and died on 14th December. She was only 35 at the time of her death. She was buried outside Darmstadt at the Grand Ducal mausoleum. 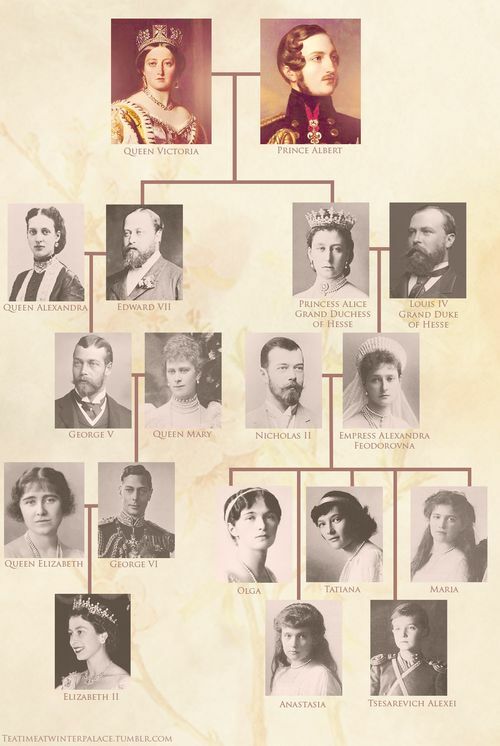 Here is a picture showing the family tree of Alice from Queen Victoria and below. Alice was the first among Queen Victoria’s children to die and her mother outlived her for more than 20 years. Alice’s death was mourned in both, Britain and Hesse. In 1869 Alice had found Alice Hospital in Darmstadt. It was designed to serve the sick and the wounded. This organization prospered long after her death. Alice’s children also played major roles in world history. Alice Society for Women’s Training and Industry was established to educate women and an organization, Princess Alice Women’s Guild, was devoted to training nurses. These organizations were highly active during the Austro-Prussian war.